Looking to create that WOW factor for your windows? Then take a look at our superb range of plantation shutters. 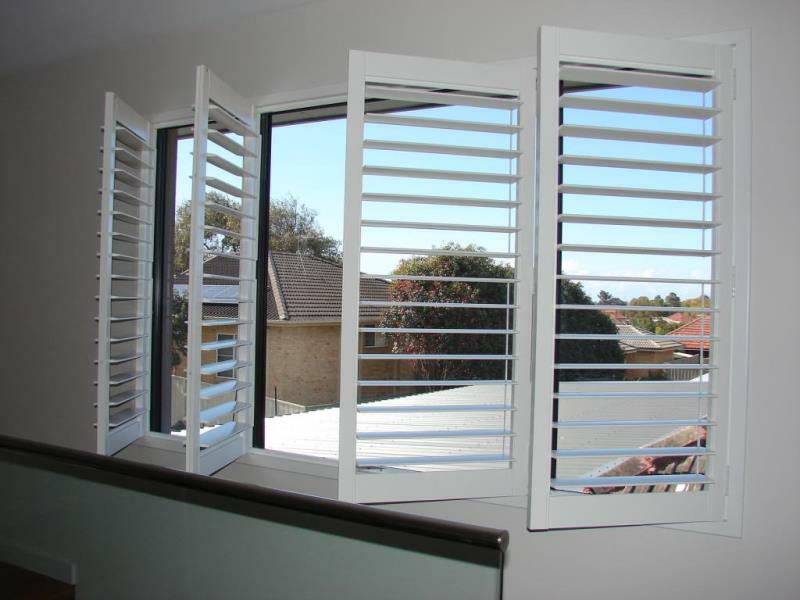 They add a real touch of luxury to the window and a real sense of sophistication to your Adelaide home. With a classic, timeless design plantation shutters are at home in any interior, modern or traditional. 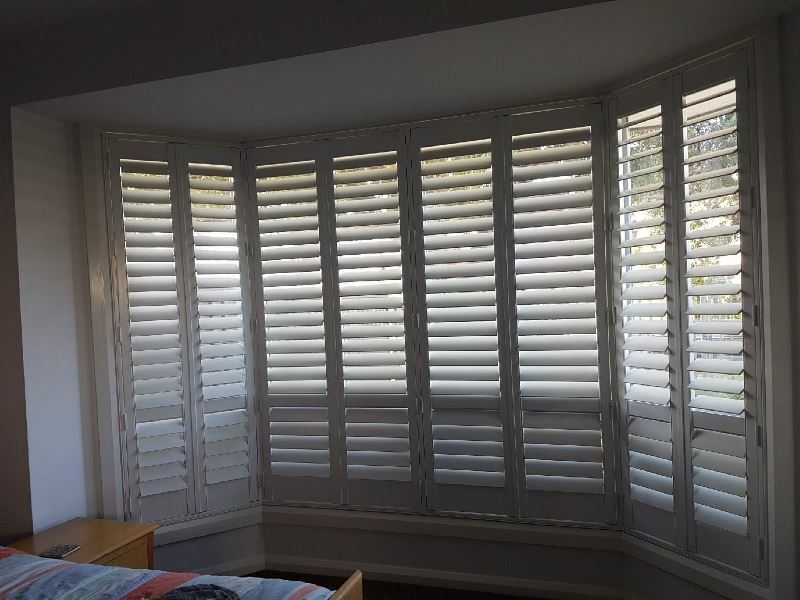 Plantation shutters, sometimes referred to as window shutters, are highly versatile and can create a gorgeous look for the interior or exterior, whilst adding value and kerb appeal to your home. 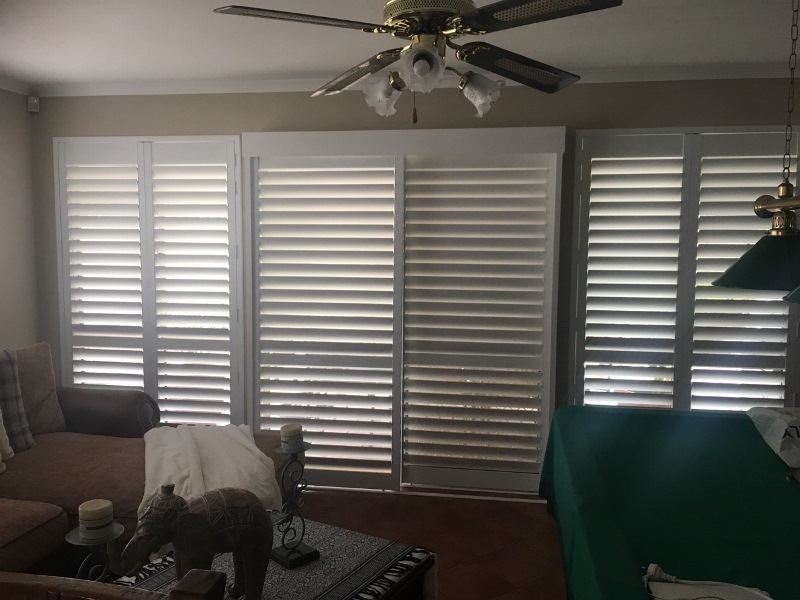 Whatever the shape and size of your windows (straight, bay windows or even arched windows), we can custom make and install your ideal plantation shutters at a price you can afford. 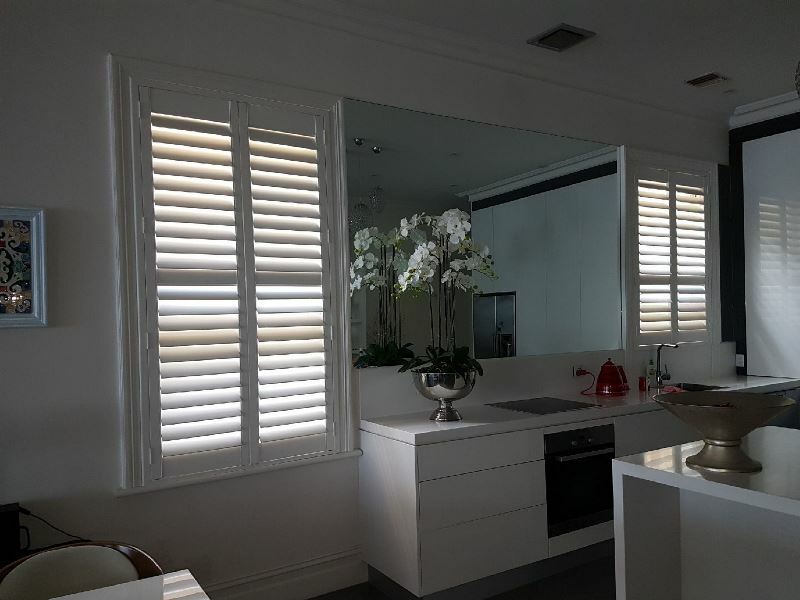 Open’N’Shut plantation shutters not only add a touch of class to your windows, but they give you maximum control over privacy, ventilation and light. 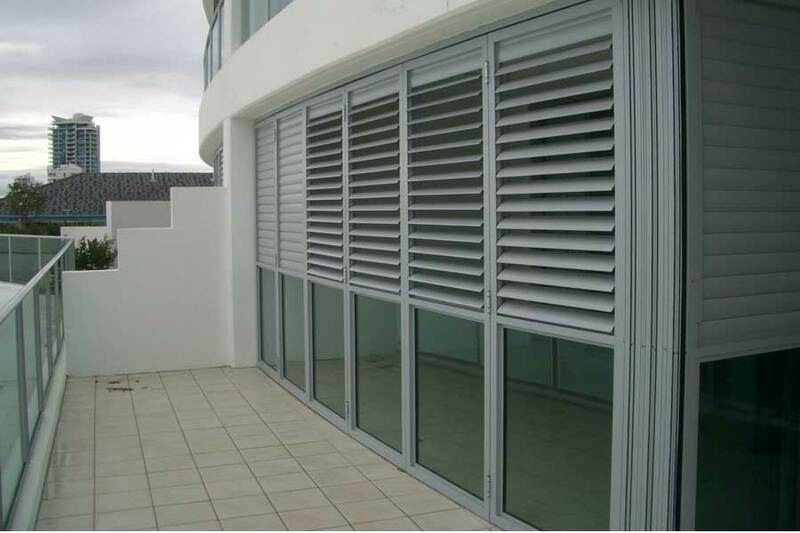 Housed in a sturdy frame, the louvers are fully functional and can be open, closed or anywhere in-between. 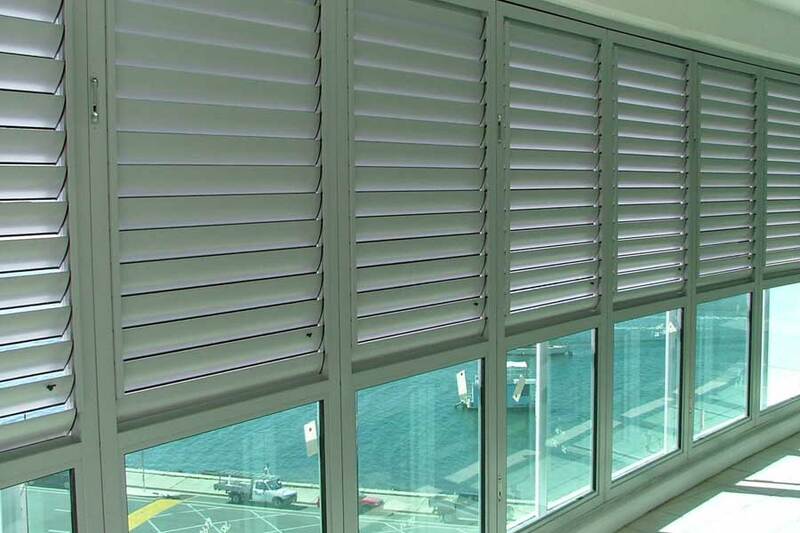 They are highly flexible and allow you to independently operate different sections of the plantation shutter – for example in a bedroom you may choose to have the lower section of the shutters closed for privacy, but the upper section of the shutter open for light and ventilation. 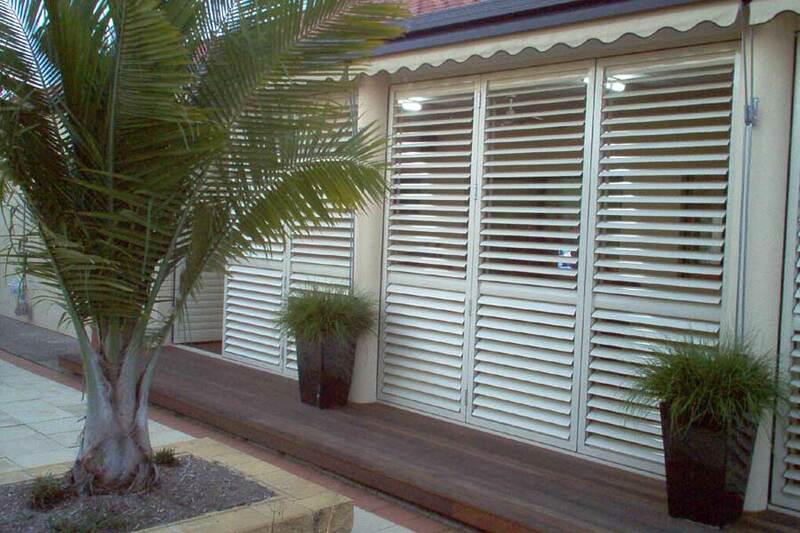 Plantation shutters are ideally suited to the Adelaide climate as they can help reduce heating and cooling costs. They are highly insulating keeping the heat inside during winter and blocking the intense heat and sunlight out during the summer. Open’N’Shut take care of everything and for maximum convenience, our friendly consultants will bring the showroom to you, along with lots of examples of colours, materials and finishes, so you can just relax in the comfort of your own home. 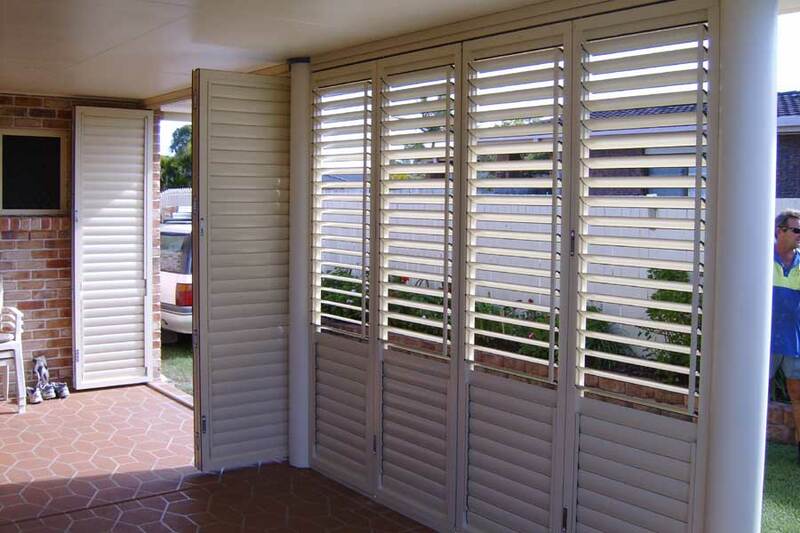 We stock a huge range of plantation shutters and have a shutter for every budget. We are happy to measure and quote a number of different options and there’s never any pressure to buy – just good honest advice and superb prices upfront. Open’N’Shut has been established in Adelaide for over 20 years and our reputation has been built by offering great customer service, quality products and unbeatable prices. We offer you amazing prices and will beat any genuine quote on plantation shutters. What’s more, we offer 50 months, no interest, no deposit finance and all our plantation shutters are backed by a massive 20-year guarantee for your total peace of mind! 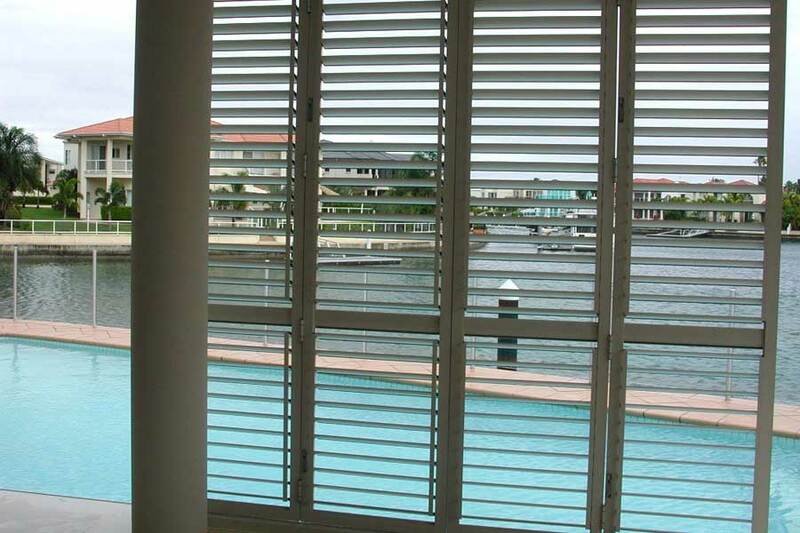 The stylish good looks of plantation shutters are not just limited to interior applications. 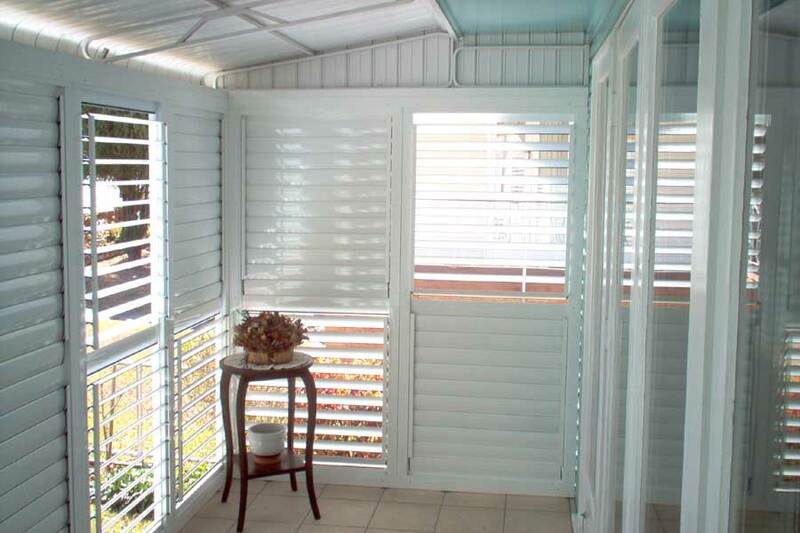 Open’N’shut offers a stunning range of outdoor aluminum plantation shutters. Our outdoor plantation shutters are highly flexible and are ideal for use on alfresco and veranda areas, and patios and balconies. 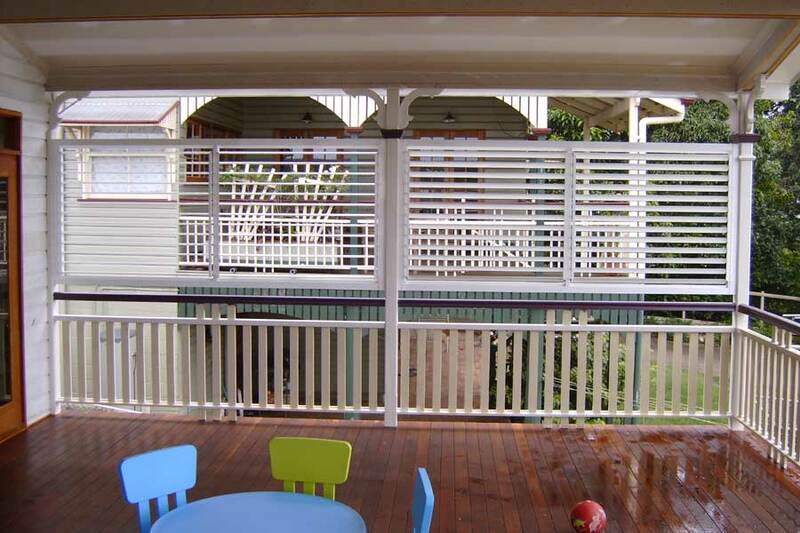 They can even be built to comply with Australian balustrade regulations when used on patios and balconies and are a great way to add privacy screens to balconies without compromising your safety or losing your view. 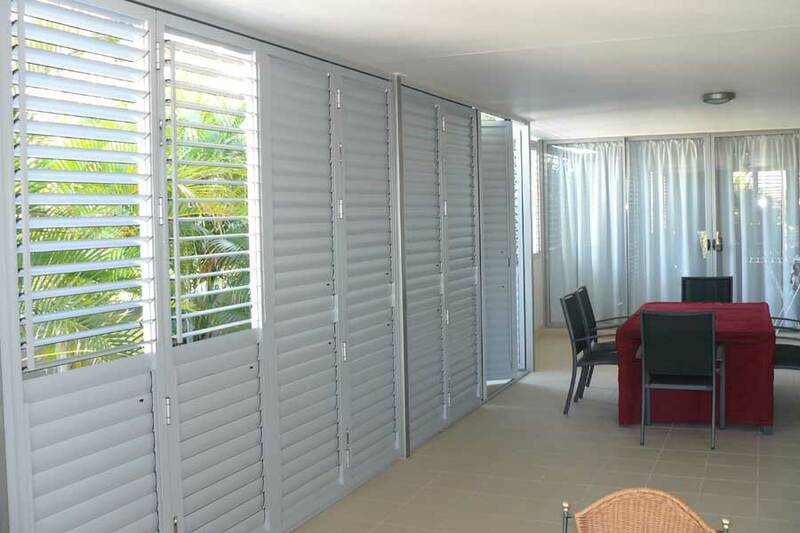 Our highly versatile exterior aluminum plantation shutters give you the freedom to be creative with a choice of slat widths, a range of different colours and you can even choose from vertical or horizontal louvers.